2 Bedroom Detached Cottage For Sale in Biggleswade for Offers in the region of £300,000. Located at the edge of the village secluded off a private road is this detached period cottage occupying a generous plot. The cottage holds many of its character features including exposed beams, an exposed brick fireplace and iron latch wooden doors. 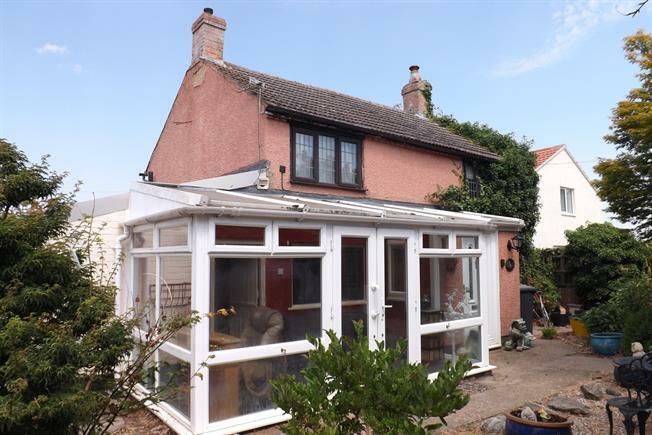 Accommodation in brief comprises; porch, living room, family room, kitchen/diner, utility room, conservatory, downstairs WC, two double bedrooms and a bathroom suite. Further benefits include a west facing garden, ample parking and UPVC double glazed windows. UPVC front double glazed door. Tiled flooring. Exposed brick fire place with gas fire, laid with carpet, under stairs storage cupboard. Gas fire, laid with carpet. Tiled flooring, glass splashbacks. Roll edge work surface, wall, base and drawer units, one and a half bowl sink with drainer, integrated oven & microwave/oven, integrated gas hob, over hob extractor. Tiled flooring. Roll edge work surface, space for standard dishwasher, washing machine, dryer, fridge/freezer. Tiled flooring. Low level WC, wash hand basin. UPVC French double glazed doors opening onto the garden. Tiled flooring. Carpeted flooring, over-stair storage, part tiled walls. Low level WC, panelled bath, shower over bath, wash hand basin.